Most are “hoping” to retire someday, but many are simply not planning for it. I can’t tell you the number of folks I have met over the past 6 months that are planning on living on a small retirement/pension and Social Security. Sticking your head in the sand is NOT retirement planning! That is what I call WELFARE planning! Retirement requires money in the bank; after all the goal is to be sure you have enough income to live comfortably in retirement, knowing Social Security is not likely to be enough to pay the bills. It is not rocket science, but for some it can be scary. Let us take the fear out of it. It will require a bit of time (maybe an hour or two) and conversation to figure out what is best for your circumstance. We can make it as easy or as complicated as you are wanting and your needs demand. Take a look at your health insurance ID card. Does it have HSA on it? When you chose your health insurance policy, you may have simply chosen the least costly option. Oftentimes, the policy that costs the least qualifies for a Health Savings Account. First, you have to have the qualifying health plan, then you can open and fund the account. If your health insurance in 2017 qualified for an H.S.A. you have until April 17, 2018 to fund it for that tax year. Same for 2018 and beyond. Funds deposited into an H.S.A. can only be used for qualified medical expenses. While your health insurance covers doctors, hospitals, prescriptions, etc. Your Health Savings Account can be used for those expenses as well as vision and dental. Details regarding qualified expenses (IRS Publication 502). Be careful! The money in the account should only be spent on qualified medical expenses. If you use the money in your H.S.A. to buy a furnace, you will likely pay taxes and penalties. 2017: $3,400 single and $6,750 if more than one person on your taxes has a qualifying health plan. 2018 $3,450 single and $6,900 if more than one person on your taxes has a qualifying health plan. 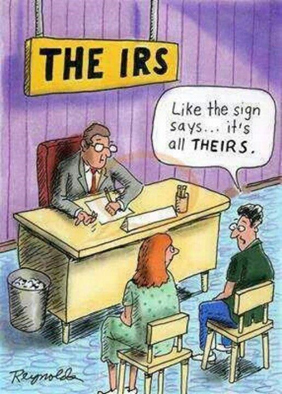 WE ARE NOT TAX ACCOUNTANTS! As licensed insurance agents, we understand the importance of seeking qualified professionals to help when appropriate. Tax time is no time to skimp on professionalism. We are not Certified Public Accountants (CPA’s) but we will definitely recommend you seek counsel from one. You can buy the boxed tax programs at Walmart or online. While they are cheap, quick and easy, is that really what you need? Oftentimes money spent hiring a professional can be worth thousands in tax savings and advice! This material is for general information purpose only. Farmers Financial Solutions, LLC and Farmers Insurance and Financial Service Agents do not provide tax advice or legal advice. The material may not reflect your particular circumstances. Please consult your tax or legal advisors for advice specific to your situation. This material represents general understanding of current law, as tax laws and IRS administrative positions may change. This material is not intended to, and cannot be used to avoid any Internal Revenue Service penalties. Withdrawals and/or distributions made prior to age 59½ may be subject to tax consequences and an additional 10% IRS tax penalty.